Mike Martello is Director of the Wu Tan Federation of Belgium, co-teaching with the Wu Tan Organization in Taipei Taiwan. 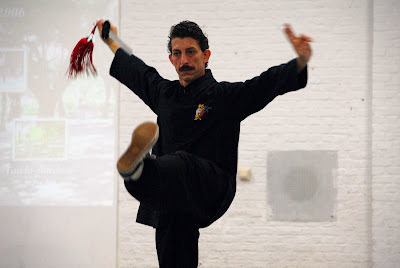 Having been studying and teaching martial arts for over twenty five years, Mike has taught and performed in Europe, Canada, South America, Taiwan and across the U.S. He is a nationally and internationally ranked competitor in Chinese martial arts (gold, silver, bronze medalists, 86-88, 90-92 and 94-2000 U.S. Nationals and International Competitions). Recently awarded the Taiwanese Kuo Shu medal of achievement for his work in Chinese martial arts, Mike continues to travel and study Chinese Martial Arts in Taiwan with Grandmaster Wang Chieh, specializing in Yue Jia San Shou (Yue Family Style), Ba Bu Tanglang (Praying Mantis), Bai He Chuan (White Crane), Joint Locking (Chin-Na), Tai Chi, Push Hands (Tuei Shou) and Shuai Jiao (Chinese Wrestling). Patrick Parker: Some of my readers have told me that you were the most amazing martial artist that they'd ever gotten to personally work with. What do you think are your particular strengths as a martial artist and as a teacher of martial arts? 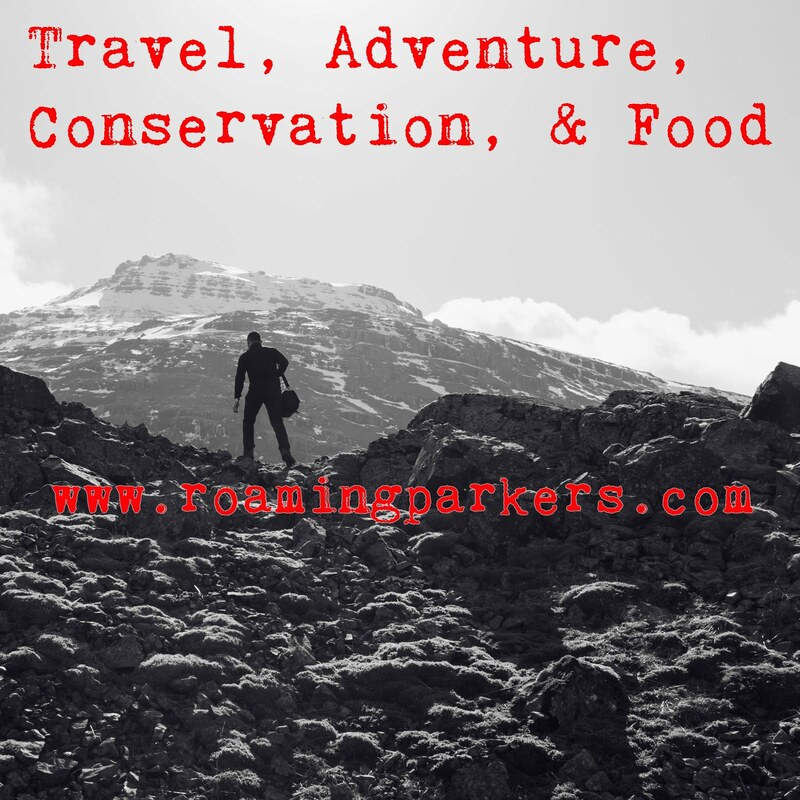 Mike Martello: Pat, amazing is a gracious compliment by your readers, really I am nothing compared to my teachers and mentors and the many others I have met during my travels over the years. I have had the chance to meet some amazing people who helped me, inspired me and taught me beyond dreams; these are the ones who should get the accolades; my Father, Wang Cheih Laoshi and many others. I would like to thank them all! The second part of the questions is tricky, Pat; it takes more than one idea to better understand your question, I will try to sum it up. Well, my life experiences and all my mistakes in life are my strengths. As my Father told me, mistakes are the keys to learning. I had a very early start in training, having been taught boxing from my father since I was 3. I was exposed to the fighting arts from an early age and was able to absorb a lot of information and experiences. I started quite early as a teacher of martial arts, and the accumulated knowledge and experience really helped me develop my understanding of martial arts training, teaching and culture. Teaching itself is a very important aspect of the learning process. It forces one to delve deeper in order to transmit knowledge better, but moreover it makes me want to search deeper to just learn more and more about it all. I therefore relentlessly strive to achieve deeper understanding of martial arts and its culture for my own personal cultivation and in order to preserve and teach the principles of martial arts culture: To bridge the culture, philosophy and lifestyle into my own life and martial arts teachings, not just the fighting aspects, and to help all people better understand cross cultures to allow a better foundation grow for the future for martial arts. Martial arts is my venue where I can help and teach people these experiences and martial essences. 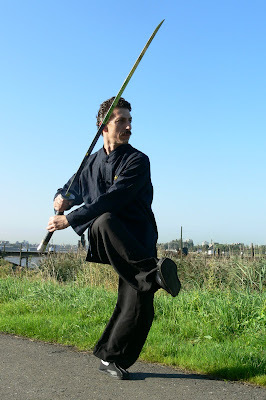 Patrick Parker: What aspects of the martial arts (i.e. physical fitness, self-defense, self-improvement, competition, etc…) do you think you emphasize the most in your teaching? Mike Martello: Of course, in a legitimate martial arts school, every above-mentioned aspect should be stressed, with self-improvement being foremost. Physical fitness, self-defense, competition... these are all different forms or channels for self-improvement. Having said that, I would like to point out that in my teachings I emphasize the aspect of "awareness of oneself" or total body awareness. I stress proper foundational training for my students. In the early stages of training, the student's body has not been fully developed martial arts-wise. The direction to which the student might develop is also not clear; will he or she favor competition above anything else? Maybe he/she is really interested in Mantis? Bagua? Taiji? This all depends on the student's body type, character and personal preferences. I was fortunate to have started at a very early age and to have learned from many excellent teachers various styles of traditional Chinese martial arts. In my foundation training I do not lean towards one single style; what I am most interested in is the common ground of all Chinese martial arts. It is this foundational training which I teach the students: to condition the physical body, strengthen the tendons and joints, waist power, to develop total body coordination, connection and awareness. Once this foundation is firm, the student is free to explore different styles; the student would only need to adapt to certain stylistic characteristics, but the proper usage of the body will come natural to him/her. That's my approach: I plant the seed in order for the student to grow and develop without limitations, to achieve realization of oneself. Patrick Parker: What was your first experience with martial arts that got you interested in pursuing this path? Mike Martello: I started boxing with my father when I was 3 years old growing up in NYC. When I was about 7 or 8, an uncle who had been in the military taught me kickboxing. I was really fascinated by the use of the legs. I moved onto Shotokan, and later TKD. When I was 11 I met a kung fu teacher (Teddy Wong), who showed me that the CMA were the best for me, not the best in general, but the best for me and then I met Su Yu Chang when I was in my early 20s. Even before that I was exploring Muay Thai, Karate, and Eskrima with whomever was around, I was taking seminars, going to schools and doing drop in classes etc. I really enjoyed fighting, and being small, all my life I had plenty of opportunities to test my skills against kids on the street. That is the reason my father started teaching me boxing at such an early age, as he knew I would be tested on the streets of NYC. But I also had opportunities to try my skills out in the ring where I boxed, and I also competed in many Chinese, TKD, Karate tournaments, and kickboxing events as well. I just wanted to go try what I had learned. Growing up fighting I was not scared of getting hit, but I was scared of not hitting them hard enough! I wanted to learn how to hit harder! Don't get me wrong, before any blows are thrown both fighters are anxious, but once that first hit is in, either me or the opponent being hit (90% of the time I was the one who got hit) then I am in the zone, and I am comfortable. The moment between is the anxious part. My thirst for knowledge knew no bounds though, and so all of these situations were my teacher if you know what I mean. Every loss, every win, every hit taught me unforgettable lessons. Yet, after having acquired fighting experience inside as well as outside the ring, these same experiences slowly led me away from fighting in order to pursue martial arts truly as an art form. I learned to appreciate the beauty of artistic expression through movement, and this same beauty urged me on a never-ending quest of research and perfection. Just as a painter uses pallet, paint and brushes to create a beautiful painting, as a martial artist one should create magic through movement, rhythm, explosiveness and flow. False greatness is unsociable and remote: conscious of its own frailty, it hides, or at least averts its face, and reveals itself only enough to create an illusion and not be recognized as the meanness that it really is. True greatness is free, kind, familiar and popular; it lets itself be touched and handled, it loses nothing by being seen at close quarters; the better one knows it, the more one admires it. That is one of my favorite quotes; it describes exactly how I perceive movement arts and what a martial artist stands for. How can I not pursue this path? Patrick Parker: What do you think most interests your students and keeps them coming to class? Firstly, it is the contents and ideas of my training methods, which interest the students; i.e. the development of total body awareness and the results in physical awareness as mentioned previously. Secondly, apart from the physical aspect of CMA, I also try to transmit authentic martial arts culture to my students. It is strange that in this era of multicultural societies, information technology and convenient means of transport, appreciation of culture and higher cultural awareness seem severely lacking. Through Chinese martial arts culture, which is a culture based on the ideas of brotherhood, respect, righteousness and honor, a student can reflect on his or her own behavior and mindset, and this can lead to better self-understanding. Lastly, I teach by example. Martial arts is all about self-improvement. In present-day society, many people are living too comfortable lives and have forgotten about personal struggles, self-improvement and the pursuit of ideals. The world is a tough, cruel place, and we are fortunate that we have the opportunities and means to improve our lives, yet what I see around me are people who waste their precious time and energy through laziness and self-indulgence. I had to work hard for everything in my life, and I still do. My presence, my entire being, is somewhat of a non-stop wake-up call to my students: Life is short, work hard! I try my best to inspire my students and other people around me. Patrick Parker: How have the martial arts with which you've been involved changed over the course of your involvement? Mike Martello: Pat, I have been involved with a myriad of martial arts throughout the years and it would be impossible for me to point out the changes, which have occurred. I can only comment on the fact that in my younger days I have studied many styles and even though I may not practice these styles anymore, I have absorbed certain aspects and principles, which I still cultivate in my personal training and life. 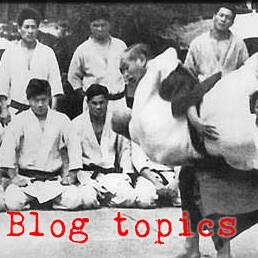 Patrick Parker: What does the future of these particular martial arts look like to you? Siddharta Gautama was born a prince, and at his birth it was foretold that he will either become a great king or an enlightened sage. Siddharta grew up in luxury and wealth, and as befits a prince he was betrothed and later married an aristocratic lady, who gave him a son. Yet at a certain point in his life, he forsakes his throne and abandoned his family, leaving his wife, child and wealth behind, to seek knowledge. He began a life of poverty and wandering, seeking out great masters and learning from them, in his quest for enlightenment he studied every form of spiritual cultivation available to him, going as far as leading an aesthetic lifestyle up to the point of near-starvation. Siddharta then meditated for 49 days, in which various demons tried to seduce and distract him, yet he persisted and reached true enlightenment to become the Buddha. The tale of Buddha is a wonderful lesson and can serve as a metaphor for the martial arts practitioner's journey. In order to become a true martial artist, many sacrifices need to be made. One needs to search for knowledge, and through diligent practice and great perseverance can one succeed. Furthermore, society will distract you, there will be many factors to lead you astray, one single misstep and you might not fulfill your true potential. In contemporary society, how many are able to accomplish this? I always ask: who are the new masters? We had Yang Cheng-Fu, we had Dong Haichuan... yet who are the new masters of martial arts? 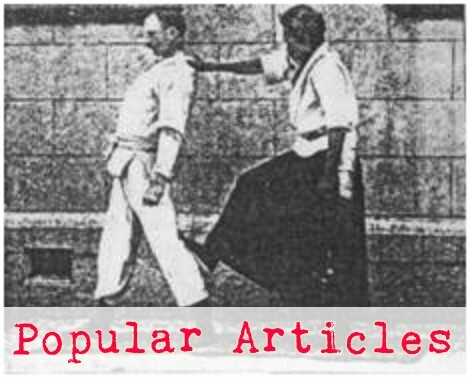 Who can be the new icons in Chinese martial arts history? In order for Chinese martial arts to be preserved as well as evolve, certain boundaries need to be broken. Martial arts are not about fighting, it is about self-preservation and self-improvement. Although not many people can become martial arts masters, martial arts can enrich the lives of everyone. Martial arts can make life more endearing to everyone, but first those who teach martial arts need to re-educate themselves to reach a deeper understanding in order to re-educate the public. Patrick Parker: Over the course of your career in martial arts, who were the 1-2 most amazing martial artists that you ever got to personally work with? What made them so great? Mike Martello: Of course, my views are quite subjective. Firstly, my second principal teacher Master Su Yu-Chang who provided me with the tools and arsenal from which I could grow. Secondly, Grandmaster Wang Chieh who is truly an amazing man. He is now 82 years old and still healthy and strong. He is a living proof of kungfu, an example of correct martial arts training. Master Su made me into a beautiful, streamlined shell of a racecar, but it was Master Wang who gave me the powerful engine to match the exterior. The most amazing thing is that, despite his great level of mastery, Master Wang does not consider himself a master, just forever a student of martial arts who likes to practice. Last but not least, I would like to mention my father, the Late Rocky Martello, who was known as "The Rock" during his days as a boxer 1940`s. It was my father who taught me "the school of hard knocks", who gave me the guts to tackle anything. Master Su gave me the car, Master Wang gave me the engine, but it was my father who made me a racer, the one who taught me to take the steering wheel of life into my own hands and reach for my goals no matter what. Thanks Pat for the venue to express some personal thoughts to you and your readers. I hope I answered your questions. And thank you, Mike. I have surely enjoyed getting to talk with you and glean some of your understanding and experience. I can tell from our brief exchange here as well as from your videos why some of my readers have told me that you were one of the most amazing martial artists that they’d ever met. I hope to get to meet you in person at some point and learn a bit more. Previous interviews have gone back and forth for several rounds of questions and answers but Mr. Martello has been so busy recently renovating a new club and travelling to Beijing, that I only did the first round of questions. If any readers have questions about the info in this interview or want to pose additional questions, leave a comment below and I'll make sure he gets them. Good interview, and I completely agree that self-improvement is the highest purpose of martial arts study. Incredible interview! You should probably write a note on how you meet these folks. "A-S-K and you will G-E-T"
Hi, I am a student of teacher Mike Martello, Thank you for the interview. Lots of respect for your open view on all Martial Arts. I have read your website with great interest, it has good info and interesting viewpoints which can be used for different Martial Arts. Together with other students, we try to promote teacher Mike's art through a student blog, we welcome your visit. I have had the great luck to experienced Aikido at O' Sensei's dojo in Iwama under the teaching from Hirohito Saito sensei. That was my first but brief experience with Aikido. Then back in Belgium, I had the chance to train with Wim Van Gils sensei, a very skilled teacher from the lineage of sensei Tissier. Both sensei has showed me the great art of Aikido. I have nothing but deep respect for it. As with Hirohito Saito sensei, and Wim van Gils sensei, teacher Mike Martello too cares deeply about his art and his students. Choosing a Martial Art that fits you is a very personal affair. So at some point, it was difficult for me to choose. Nevertheless, teacher Mike's lessons shows me to never stop learning from each other with respect and humbleness.